Zhou Xun: Takeshi for real ! by SHARON WONG on Dec 21, 2005 - New Straits Time, Malaysia ! Perhaps Love heartthrob Takeshi Kaneshiro has more than just good looks, with director Peter Chan praising his talent and dedication as an actor. SHARON WONG writes. UPM IT has been more than 12 years since Takeshi Kaneshiro has been to Malaysia and naturally, fans and curious onlookers alike grabbed the opportunity to see the Japanese-Taiwanese heartthrob when he was in town to promote his new movie Perhaps Love. When asked the reason for the long absence, the handsome actor said the opportunity just never presented itself. This short trip, he added, gave him a chance to see again the beautiful country of Malaysia. Takeshi, who first burst upon the entertainment scene in 1992 as a singer, has gone on to carve out a niche for himself as an actor. Today, he is not only a much sought-after actor in Hong Kong, he is also a big star in Taiwan and Japan. "After my first movie, I realised that I much prefer acting. As a result, I decided to put singing on hold. I wanted to learn more about acting." "It was great fun having the chance to sing again in Perhaps Love. My only regret was that I did not have the opportunity to sing with Jacky Cheung but still, it was very satisfying. However, I have no plans to release albums again." As for the character he portrayed in Perhaps Love — as someone who is obsessed with one woman for 10 years — Takeshi admitted that there were indeed some similarities, for instance, the growing process of the character. "I relate to how he thinks about love 10 years ago. As we grow, our perspective changes. We change all the time. To fully understand love, I think you need to love and understand yourself first." With his doe eyes and good looks, Takeshi is perfect for those lovelorn roles. Where the emotional scenes in the movie are concerned, he gives credit to the director for being able to draw him into the part. "A good director helps. An excellent cast is also important. 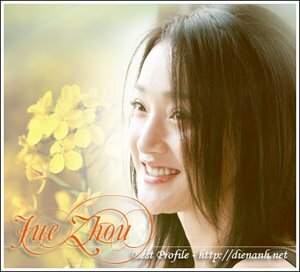 Zhou Xun helped me a lot in bringing out the emotions. Even the climate — the dark and dull atmosphere, snowy weather and the cold — all helped to create this sad and forlorn situation. "Many outside factors contribute to the ultimate success of a movie. If a film causes the audience to cry or if a comedy causes them to laugh, then it is a success." While Takeshi credited director Peter Chan for helping him flesh out the role, the latter felt that it was the other way around. When Takeshi was filming Wong Kar Wai’s Chungking Express and Fallen Angels about 10 years ago, the director had spoken highly of his depth and versatility, not to mention his dedication to film-making. It was reported that Takeshi collaborated on ideas for certain scenes. For Perhaps Love, Chan saw the same motivation in the actor. "Initially, Takeshi was rather quiet and seemed worried about his role. He asked a lot of questions and it was obvious that he did a lot of thinking about his character. "Through all my years of film-making, I have come across actors who would have their own opinions but not one as totally submerged into his role as Takeshi." The director also discovered something about Takeshi as filming progressed. "Takeshi’s character is that of a man who is sick ... that’s not the right word. He’s obsessed, damaged and has not grown since the age of 21. He’s emotionally frozen and this is shown through the underwater scenes. "We discovered that he has a special feel for the water. As a result, we gave it more duration and it became a romantic filter for the movie. "The tear he shed while hanging upside down was real. It took numerous shots and numerous tears to get it to land just right but he did it." A man of few words and an elusive figure — it is a well known fact that Takeshi is always reluctant to be in the spotlight — in the Chinese entertainment circle, he guards his privacy closely. Perhaps it stemmed from being born of Taiwanese and Japanese parents, which caused some problems for him during his childhood. He was often bullied at school and had difficulty fitting in, feeling like an outsider in school and in his neighbourhood. But his mixed background also gave him an opportunity to become fluent in several languages like Mandarin, Japanese and English. Being good-looking helped open doors for him. Takeshi started making commercials while still in school. At the age of 15, he was offered an opportunity to be a pop star. In 1992, he released his debut album and was on his way to becoming a teen idol. The big screen soon beckoned and he appeared in such films as Chungking Express (1994), Fallen Angels (1995), and Lost And Found (1996). It was not long before he was also spotted by a Japanese TV producer. His subsequent role in the mini-series God Please Give Me More Time (1998), about a musician who falls in love with an HIV-positive girl, shot him to superstardom and ignited his Japanese film career. Other blockbuster films followed, including Sleepless Town (Japanese, 1998), Space Travellers (Japanese, 2000), Tempting Heart (Hong Kong, 1999) opposite Gigi Leung, and Lavender (Hong Kong, 2000), with Kelly Chen. More recently, Takeshi starred in the 2002 Japanese box office hit The Returner, and worked opposite Leung again in the Hong Kong flick Turn Left, Turn Right (2003). IT was a close — but short — encounter with Takeshi Kaneshiro and mainland China star Zhou Xun when they were in Kuala Lumpur to promote their movie Perhaps Love together with producer Andre Morgan and director Peter Chan. Sensitive questions were quickly ignored by an over-zealous emcee before anybody had the opportunity to attempt an answer. The photo shoot was limited to a bittersweet few minutes at the end of the Press conference. Given the presence of big stars for a big production, the room was jam-packed with journalists and photographers from different media. Chan was in his element, fielding questions in English, Mandarin and Cantonese. The stars, however, seemed a little reticent. Perhaps Love is a movie-within-a-movie featuring a love triangle. Zhou Xun plays an actress who forsakes her love, played by Takeshi, and enters into a relationship with a director, played by Jacky Cheung. Jealousy, hatred and passion are ignited as memories of the past and the love of the present collide when Zhou and Takeshi are brought together in a new musical directed by Cheung. According to Chan, the audience were given the freedom to make up their own minds about the final choice of love partners. "There is no definite answer in the movie," he said. "This is a modern love story. In the past, it was usually some tragedy which brought lovers together or parental objections which tore them apart. "In modern times, the lovers have to make up their own minds." When asked what her choice would be if she were faced with the choice of a director who could take her to the pinnacle of her career or a lover and companion, Zhou deliberated for a while before finally settling for the director. "The director would also become my lover and companion." Where the song and dance sequences were concerned, both Takeshi and Zhou agreed that they were a lot of fun. Zhou, an award-winning actress who trained at the Hangzhou arts school in folk dance, said it was great to be able to work with cast and crew members who came from different countries. The Perhaps Love entourage met fans at the Esplanade of KLCC. They also had an exclusive lunch date with winners of a contest held by Astro and Golden Screen Cinema during their promotional visit here.